Black and Green Olives - Website of petrinaharvest! 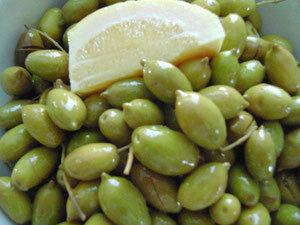 Specialty Green Olives with natural lemon juice - Simply Delicious ! 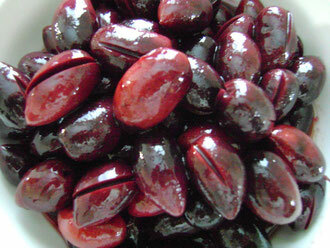 Black Kalamata Olives. Enjoy the bounty of our harvest ! Petrina Harvest Olives are hand selected and made with our traditional family recipe free from additives and preservatives because freshness and quality matters to our family as much as it does to yours. Discover the health benefits that awaits you ! Olives are antioxidant rich food, which means every time you eat them you help your system deal with those bad-guy free radicals. Olives are not fattening - so worry no more!. They contain mono-unsaturated fat, the same good fat you find in nuts and avocados. Mono-unsaturated fat in the diet increases good cholesterol. In research studies, when diets increase mono-unsaturated fat (without becoming too high in total fat), participants experienced a decrease in their blood cholesterol, LDL cholesterol, and LDL:HDL ratio. All of this lowers risk of heart disease. Amazingly good stuff !! Olives contain polyphenols, a natural chemical that reduce oxidative stress in the brain. By eating a daily serving of healthy olives you can help improve your memory, learning and thinking. Worth remember that!